Featured above: Two honor guards watch over the Declaration of Independence and some high-quality argon. Good Reads: The Eye of Argon can be read in its entirety here, and I recommend that everyone do so. Return of Ramsay and Rayleigh: Argon was discovered by the same two guys who discovered neon, actually, a few years earlier. Argon was the easy one to discover, since it makes up one full percent of the Earth’s atmosphere. They would go on to discover krypton and xenon, too, all within a few weeks of each other. But we’ll try to find time for their story when we get to those elements. Weight Problem: One thing you might have noticed is that, as we traverse the periodic table, each element has weighed more than the last one. This makes sense: The elements are arranged by atomic number, which denotes how many protons are in its nucleus. Usually, the number of neutrons is commensurate with that increase in protons. Argon, however, weighs more than the next element, potassium. Element 18 has an atomic mass of 39.948, while element 19 has an atomic mass of 39.098. This is because the atomic mass is calculated by averaging the mass of each isotope of an element, by its abundance. There happen to be more isotopes of heavy argon on Earth, and more isotopes of light potassium. It’s a weird quirk, but this means that on average, on Earth, argon weighs more than potassium. 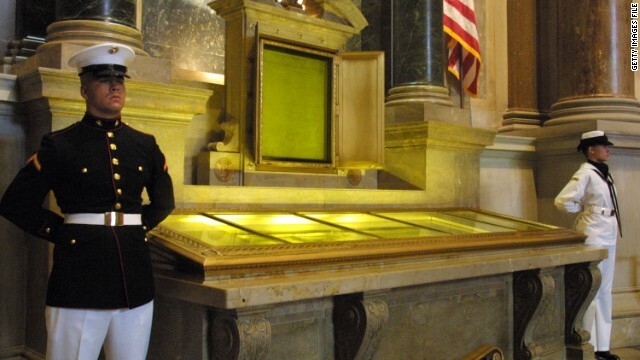 More Of A Treasure Protector: The Declaration of Independence (and Constitution) is protected by more than just bulletproof glass and inert gas. Each night, the documents are lowered into a 50-ton vault that is fireproof, waterproof, and atom-bomb-proof. Two guards keep watch over the documents and can activate the mechanism whenever they think they’re in danger. It’s all fun and games until someone gets hurt, which, actually, is exactly the kind of situation this is intended for. Store Your Documents In A Cool, Dry, Dark Place: Might I recommend Garth Marenghi’s Darkplace? A sweeping blade of flashing steel riveted from the massive barbarians hide enameled shield as his rippling right arm thrust forth, sending a steel shod blade to the hilt into the soldiers vital organs. The disemboweled mercenary crumpled from his saddle and sank to the clouded sward, sprinkling the parched dust with crimson droplets of escaping life fluid. The enthused barbarian swilveled about, his shock of fiery red hair tossing robustly in the humid air currents as he faced the attack of the defeated soldier’s fellow in arms. “Damn you, barbarian” Shrieked the soldier as he observed his comrade in death. I would love to continue, but there are 22 more pages, and we’re supposed to be talking about chemistry. The Eye Of Argon was published in 1970 when the author was only 17, and while it is an incredible work that deserves any excuse for a dramatic reading, it has nothing to do with element 18 of the periodic table. The titular Eye of Argon is a “scarlet emerald” set in a golden idol that appears in chapter three and a half. I believe accusing Theis of laziness would be inaccurate. But sometimes, there is no justice: As we’ll see today, argon itself is no slouch, either. Today, we’ll go on about argon. Some folks had the idea to make a few certified copies of the document, hoping that would lessen demand for the original. A good idea, but at some point in that process, it seems that someone spilled water on the document. Whoever this person was, at least they cared enough to frame it before hanging it on the wall of a room that received lots of natural sunlight. That’s great for a living room, but very bad for a historical document. Remember how sunlight was the best bleach people had before chlorine? Well, the Declaration of Independence stayed on that wall for decades. Every once in a while, someone would notice that the ink sure seemed to be fading, but it stayed right there until 1876. To celebrate the country’s centennial, the document was brought to Philadelphia for citizens to admire. It didn’t receive anywhere near the kind of care it deserved until 1894, when it was removed from public display. A few years later, it was moved to Fort Knox, and finally started to see the sort of treatment a historical document deserves. Today, it’s back on public display, but with much more protection: Special bulletproof glass keeps out even the minuscule amount of light that’s present in the National Archives, and of course, the airtight case is full of inert gas. Until quite recently, that gas was helium. It’s just as inert as any other noble gas, but more expensive to acquire, with an unfortunate tendency to escape the container, since helium atoms are so very small. So in 2003, the case was pumped full of element 18, and all the helium atoms argon. As we know, a chemically inactive substance can still be quite reactive to other kinds of stimuli. Like we discussed in episode 10, when neon is supplied with electrical energy, those neon atoms briefly enter an “excited” state, then release that energy as light. This property can be exploited for more than the common neon sign. If you line things up just right, you can get something considerably more powerful. A laser has three chief properties that separate it from the kind of light we normally encounter. First of all, it’s monochromatic, emitting light of one very specific wavelength. There are lasers made with all kinds of materials that create different colors; argon lasers create a deep blue. A laser also stays tightly focused, or collimated, unlike the light emitted by, say, a flashlight, which falls off and gets fuzzy over a short distance. Finally, laser light is coherent. That is, all the photons are moving in the same direction, in lockstep with one another. These three characteristics allow lasers to be used in all sorts of ways that mundane light cannot; everything from light-speed communication, to laser cutting and welding, to more accurate weather predictions, and much more. Since it focuses all that energy onto such a small spot, you never want to point a laser at someone’s eye — unless you’re explicitly qualified to do so. Lasers can severely damage sensitive tissues like eyes, but if wielded carefully, that same power can correct vision problems and cauterize wounds inside the eyeballs. Dr. Francis L’Esperance, in New York City, was the first ophthalmologist to use lasers in this way.6 In the late 60’s, military contractor Raytheon had constructed an argon laser for the US government, which they intended to test as a weapon. But by the time Raytheon had built the thing, the government decided they’d like to have a laser that fires beams in the classic red, rather than argon’s blue. Left holding the bag, Raytheon figured it was better to sell it rather than let it collect dust, and L’Esperance was the buyer. But there was a problem. Since the laser was built with a decidedly non-civilian purpose in mind, the designers didn’t consider things like whether it could fit in a freight elevator. At three-and-a-half meters long, it could not, and L’Esperance’s office was on the ninth floor. L’Esperance must have thanked his lucky stars that he had taken out insurance on the laser, because it paid enough for Raytheon to build him a new one. Yet there still remained the problem of exactly how to get the massive thing up to the ninth floor. L’Esperance used that laser to conduct pioneering research, leading to medical procedures that have helped millions of patients. And he managed to do it without giving up his priceless ninth-story view of Central Park. If, for some reason, you run into obstacles during this endeavor, there are more mundane sources for element 18. It’s often used as an effective insulator in double-hung windows, so it’s possible that you kind of have a display case full of the stuff already. But you can probably find with ease a small glass ampule filled with argon. They used to be pretty common. They just weren’t marketed as such. Incandescent light bulbs are the kind that work by passing an electric current through a filament until it glows white-hot. Compact fluorescent bulbs are more common these days, but you can still find the older style sold to hipsters as “Edison Bulbs,” or maybe in your parents’ linen closet. Those bulbs need to be vacuum-sealed, because if ambient air were to get inside, the filament would quickly burn up — or “oxidize,” as we’ve learned it — and become useless. But the bulbs aren’t devoid of all atmosphere. Instead, they’re filled with argon to keep the air pressure inside roughly similar to the air pressure outside the bulb. Since argon is inert, the filament is safe. That bulb would also make for a charming way to display tungsten, since that’s what the filament is most likely made of. But let’s not get ahead of ourselves. We have 56 more episodes to go before we need to worry about that. Thanks for listening to The Episodic Table of Elements. Music is by Kai Engel. To learn about argon’s discovery and what’s so weird about how much it weighs, visit episodic table dot com slash A R.
Next time, we’ll go bananas for potassium. This is T. R. Appleton, reminding you to store your priceless historical documents in a cool, dry place. LiveScience, Facts About Argon. Stephanie Pappas, February 20, 2015. Chemistry World, Argon. John Emsley, May 12, 2010. Wired, July 4, 1776: Preserving The Declaration. Tony Long, July 2, 2009. The Edge Of The American West, The Declaration Of Independence And The Constitution In Storage. December 23, 2009. Professor Mark Csele’s Homebuilt Lasers Page, Argon Ion Lasers. Columbia University Department Of Ophthalmology, Milestones. The History Of The Laser, p. 274. Mario Bertolotti, 1999. Optics & Photonics News, History Of Gas Lasers, Part 1 — Continuous Wave Gas Lasers. Jeff Hecht, January 2010. Air Power Australia, The Sidewinder Story. Carlo Kopp, 1994, 2005, 2010.